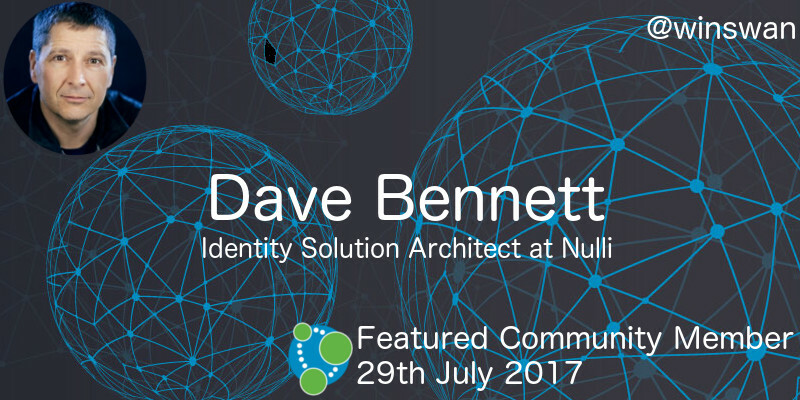 This week’s featured community member is Dave Bennett, Identity Solution Architect at Nulli. Dave is a regular answerer of questions on the #neo4j tag on StackOverflow and most recently has been helping people understand the output of the Cypher query profiler and how to use it to optimise their queries. Dave’s also presented at the Calgary Neo4j meetup and co-presented Access Management: injecting identity into the graph at GraphConnect San Francisco 2015. He also featured on the podcast in August 2016 which is well worth listening to if you want to learn how graphs and identify management play together. On behalf of the Neo4j community thanks for all your work Dave! I came across quite a few interesting things security engineering related this week. Timesketch, the open source collaborative forensic timeline analysis tool, now has Neo4j graph database support. Timesketch is a project created by Johan Berggren, a Senior Security Engineer at Google. 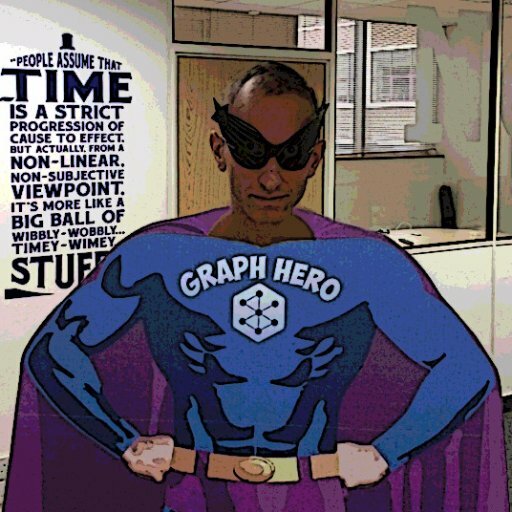 In Johan’s post he says “With an interface for communicating with the open source graph database Neo4j we are prepared for graph exploration of timeline data. Our goal is to provide an intuitive and powerful graph exploration frontend.” We’re looking forward to that! On my GitHub travels I came across the BloodHound project created by Andrew Robbins, Rohan Vazarkar, and Will Schroeder. BloodHound is an application which uses graph theory to reveal the hidden and often unintended relationships within an Active Directory environment. Attackers can use BloodHound to easily identify highly complex attack paths that would otherwise be impossible to quickly identify and defenders can use BloodHound to identify and eliminate those same attack paths. Last but not least, Anton wrote a blog post showing how to visualize and analyse Windows Logs With Neo4j. In this week’s online meetup Niek Bartholomeus showed us how he took publicly accessible data about Belgian corporations, processed it using Spark/Scala, and made it available in Neo4j in a matter of weeks. Niek’s now published his work on openthebox.be so give it a try and let him know how you get on. He’s @niekbartho on twitter. Over the last few months John Singer has written a series of articles about Knowledge Maps or Knowledge Graphs as they are sometimes known. He starts with a post that looks at what problem we’re trying to solve – “Many people in their daily jobs lack the information they need to make well informed decisions, take decisive action, or solve problems.”. Graphs can help solve this by bringing decision making data together and John goes on to explain more in Connecting the Dots and A New Model for Metadata. Christophe Willemsen has got his entry for the Game of Thrones Season 7 contest with a blog post in which he reverse engineers the A Song of Ice and Fire books with Neo4j and GraphAware NLP. Daniel Escasa has written a couple of new posts about his music database that we featured last week. Daniel refactors the model further to answer questions such as ‘who played the Soprano Sax on track 3’ and then starts asking more questions of the new model. Dan Clarke wrote a blog post explaining how to visualise your Workflowy database in Neo4j. Workflowy is a list/note taking application which encourages you to store information in a very hierarchical manner i.e. it’s perfect for graphs. Earlier this week Michael did the Summer 2017 release of APOC procedures. Some of the take away features introduced in this release are fuzzy matching and Levenshtein distance functions, executing atomic operations on properties, and improvements to the Cypher export procedures. If you haven’t given APOC a try yet now could be the time! Next week is a busy one in the world of graph databases. On Sunday, July 30, 2017 Philly GraphDB are going to explore Neo4j’s Sandbox v2 and learn how to play with the data. On Tuesday, August 1, 2017 Vasanti Mahajan will present Detecting Bitcoin Fraud with Graphs at GraphDB Boston. On Thursday, August 3, 2017 we’ll be hosting a Neo4j Bolt Drivers Roundtable as part of the online meetup. We hope to see you at one of the events if they’re in your vicinity. If there aren’t any events in your local area and you wish there were drop us an email devrel@neo4j.com and we’ll try and help out. Woke up to a dozen emails from @neo4j startup members ?? ?…all just thank yous and success stories. Today is gonna be alright.